Sometimes jeans are the perfect traveling companion, but certain destinations require something more comfortable, easily packable, or just in addition to your favorite pair of denim. Below is a roundup of alternatives to traditional travel pants. We’re loving the increasing selection of stylish travel clothes for women! I’ve already written entire posts on my love for the jogger pant. They are so comfortable, and I wear them on planes, trains, and automobiles. These styles are little updated, and act as stylish travel clothes for women. They would be great for exploring cities and would definitely keep you cool in warmer destinations. 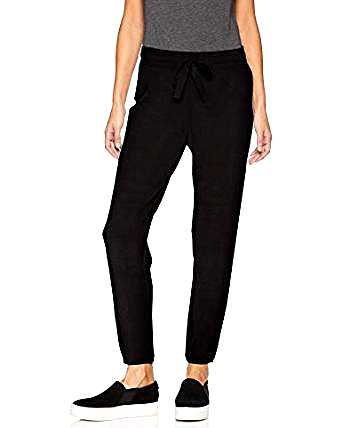 Don’t miss this current travel fashion trend, joggers for women! 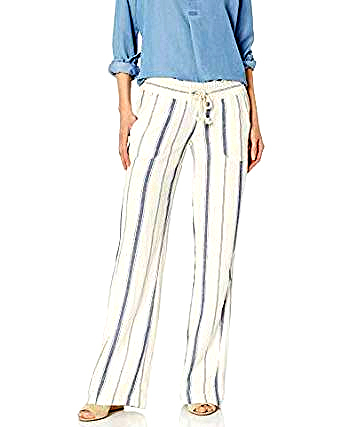 Linen pants are usually associated with beach or resort holidays, and I’m drawn to their relaxed and casual feel. Unfortunately they wrinkle, so I wouldn’t bring them on a trip where I knew I wouldn’t have access to an iron. Sometimes choosing a linen blend will help with keeping the wrinkles away. Some travelers swear by sprays such as Downy Wrinkle Releaser Plus! 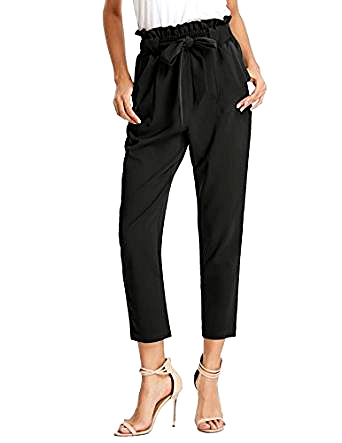 This pair of pants rocks a trendy wide leg with a flattering ankle crop. It’s a little bit of a different take on classic trousers, but is still casual enough for travel. You could tuck in a tank or wear with a slight crop top. A classic and tailored style that would be perfect for a seaside town or resort. 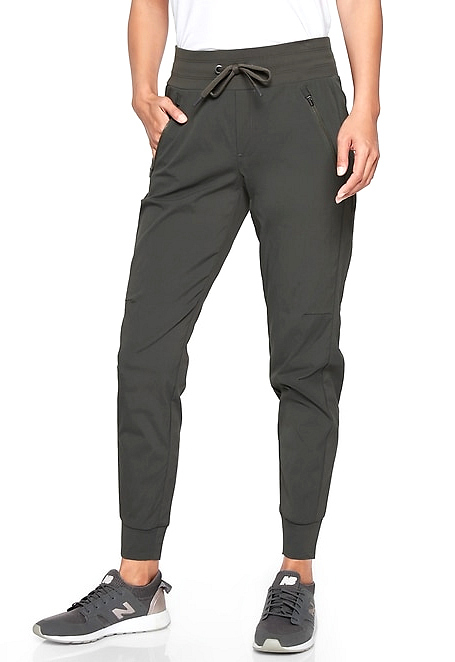 The button details add a little interest to the otherwise basic travel pants. 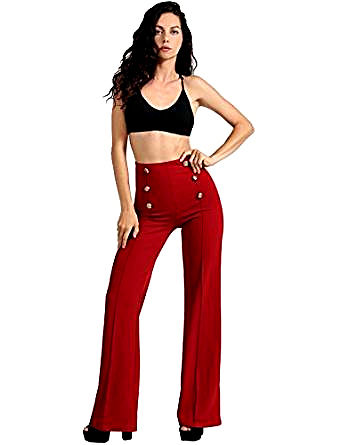 For pants, I normally go for a neutral or navy blue, but I especially like this style in red. Feels very nautical and a non-traditional take on standard travel clothes for women. Good-looking pants made from a performance fabric are not always easy to find. Athleta always has some of the best options and offers a huge selection of stylish travel clothes for women. Their pants can be expensive but comparable to other athletic brands. However, their travel pants offers sun-protection, quick dry, and rip stop features. This pair could be easily worn on long treks or styled casually for sightseeing. Read more about our favorite travel clothing styles from Athleta! Easy and breezy beach pants are a nice bikini cover-up for your tropical destination. This striped style is fun and could be easily worn casually around a beach town and for lounging. They can even double as pajama pants. Another pair of trousers with an interesting waistline. 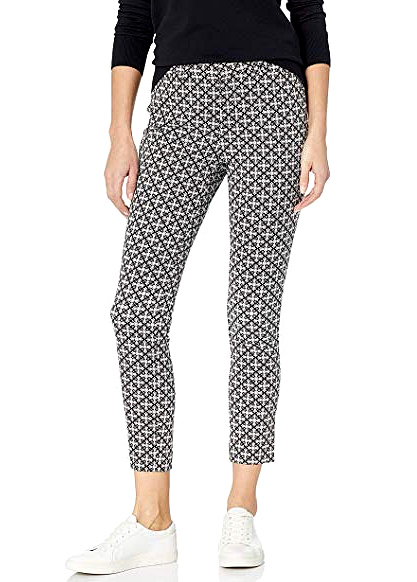 This relaxed travel pant is cinched and gathered at the waist for a comfortable style. Casually combine with flats for daytime or add a pair of wedges for dinner and you’ve got the perfect combination of stylish travel clothes. High waist pants are super stylish and look good paired with crop tops. Just make sure they have some stretch to the material for comfort. They can feel a little restricting after sitting for long periods of time. That being said, they do work well in big cities and this black skinny pair can be dressed up for a night out. 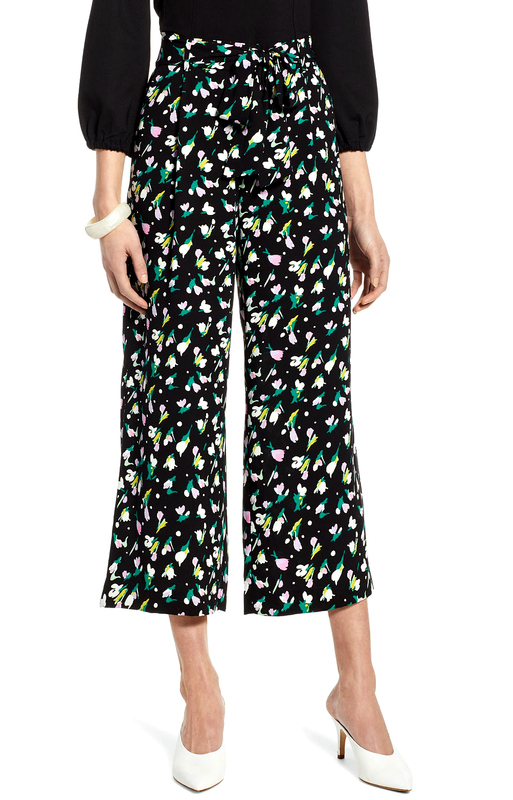 Printed pants are very popular right now. You can easily find any pattern and color to suit your style needs. Adding a little color or print to a neutral travel wardrobe will help to keep you from getting bored with your selections. Especially for long term travel. Read our complete packing guide for long term travel! Skyler Anatomie pants, re the ultimate women’s travel pants. 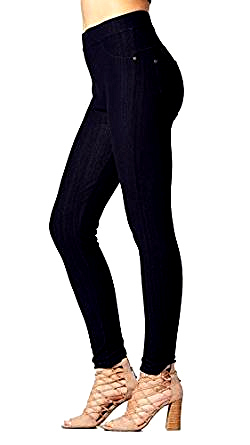 They offer a superb tailored fit with a mid rise that allows for a flattering mid-section. If you’re looking for something that offers the benefits of traditional pants with superior style, you have to get these! Read our full review and find out why they’re the best travel pants for women! Just remember that denim isn’t your only option when travel pants shopping. Sometimes other styles may fit the weather, location, and your fashion sense a little better. Plus, denim is normally heavier than other fabrics, so these options may help you to keep your luggage light. Do you have any alternative styles to add to our list of stylish travel clothes for women? Please comment below! Hope you liked this post on stylish travel clothes for women featuring alternatives to traditional travel pants. Please share with your friends on Facebook, Twitter and Pinterest. Thanks for reading! I am 5 ft 10 1/2 inches. I always have such difficulty finding these kinds of pants for my height. Any suggestions? I will be traveling to a warm climate. I love the Skyler pants but they will be way to short for me. I’m looking for ones like this but also less expensive. 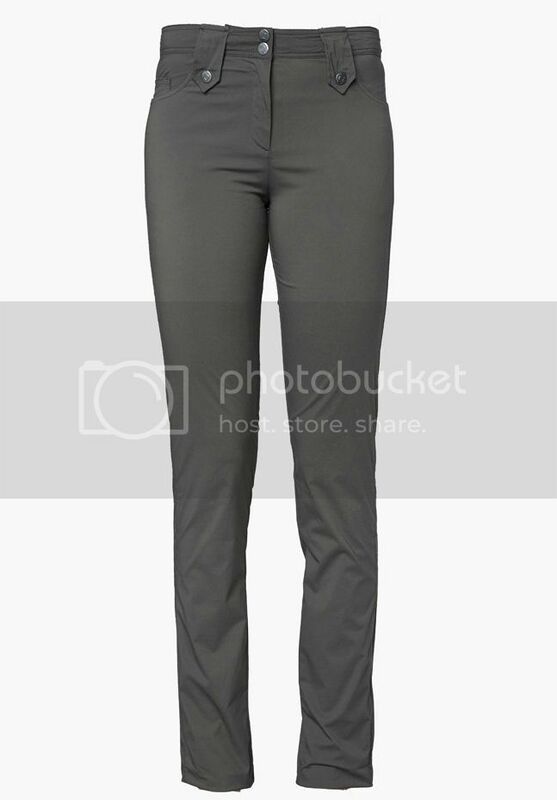 any recommendations for great travel pants for curvier plus size ladies??? those skyler pants are exactly what i’m looking for but i don’t fit in their xl size. Great suggestions! Any recommendations for humanitarian aid workers who need to dress modestly in a desert climate? 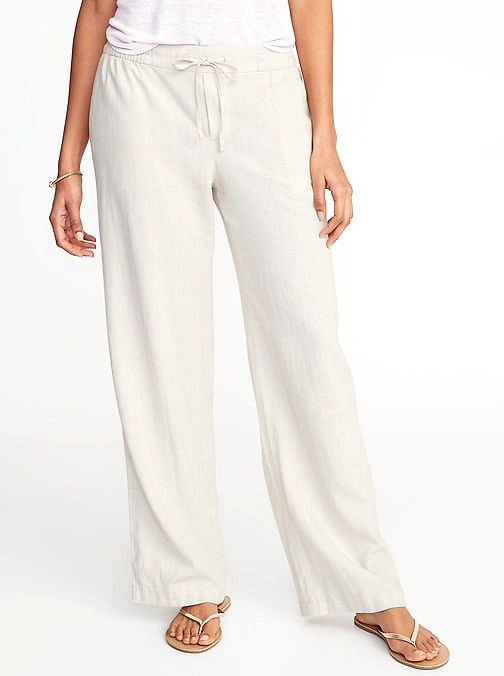 I was thinking linen pants but I’d love to find something that doesn’t tear so easily and somewhat stylish if I can be so vain. Great alternative options for travel pants. I love the sailor style and the technical pants examples. There’s so many different styles and designs out there, it’s great to have variety! 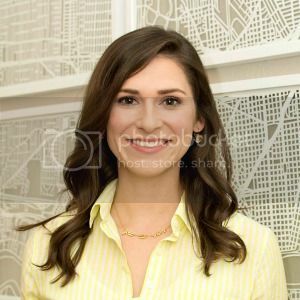 Love all the options for women in recent years – things sure have changed!